Ramon Santaeulària is a company with a very long tradition in articles for adorning garments with accessories such as buttons, loops, buckles, etc. Every season we design an exclusive collection and maintain our continuity collection. Quality materials, finishes and customer service are in our genes. Within our extensive range we work both with fine materials such as mother of pearl, wood, horn, and leather, and with nickel-free metals and new recycled materials, polyesters and resins. We make “a la carte” finishes (dyes and logos) to meet our customers’ requirements. 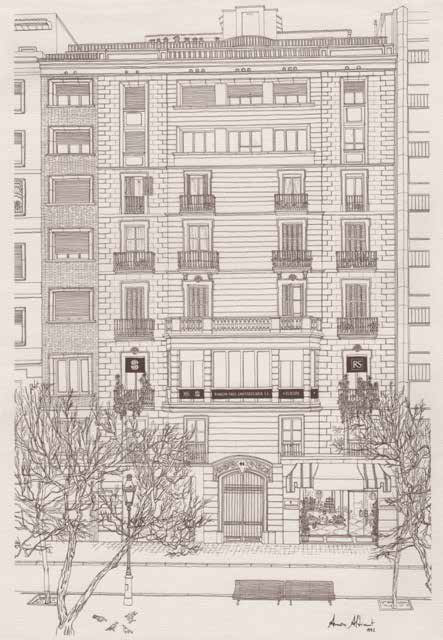 Ramon Santaeulària is a family company founded more than a century ago, in 1914. Since then it has passed from generation to generation and always maintained pride in tradition and a philosophy of brand distinction, supplying buttons and other accessories for both men’s and women’s apparel. Over the years, the firm has successfully adapted to major historical changes and significant evolutionary processes, and this flexibility has allowed it to become the business it is today. Ramon Santaeulària has always been a pioneering name in women’s fashion accessories. It was one of the first companies in the industry to move beyond our borders and travel the most prestigious international circuits, searching for the latest novelties and trends. The firm’s products have always been inspired by the hottest fashion trends, travelling to the world’s leading hubs of creativity and design—Paris, Milan, New York, London, Tokyo, etc.—in search of fresh ideas. Today, the firm remains loyal to its tried-and-true business model and its tradition of using only the best sources of inspiration. The brand’s philosophy is to continue catering for a select, discerning mid-to-high-end clientele that appreciates quality and places a high value on novelty. Ramon Santaeulària’s current management team is made up of people who are passionate about beauty and fine workmanship.